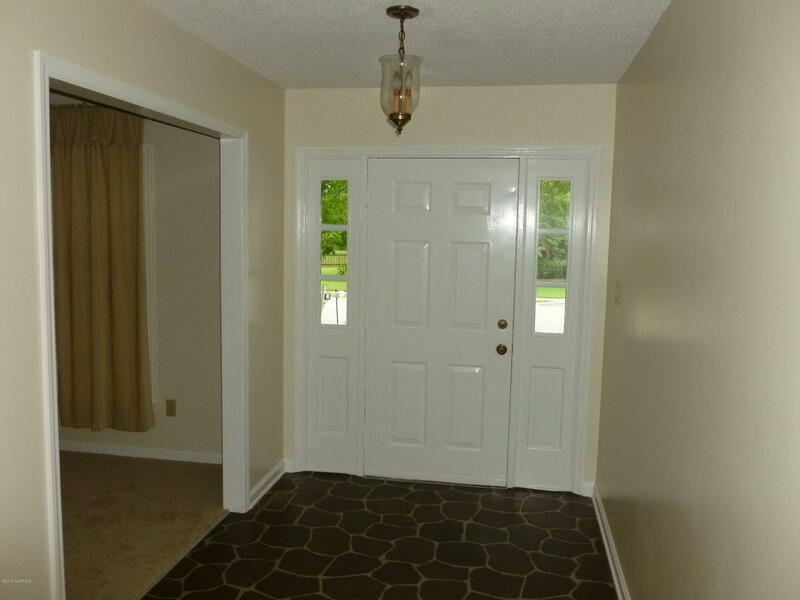 When you walk in the front door of this home you have the living room to your right which leads into the formal dining room. 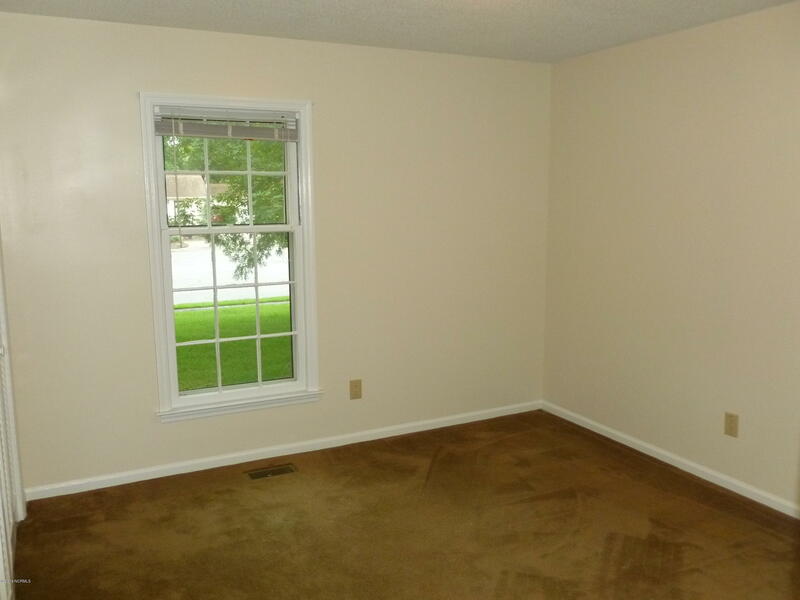 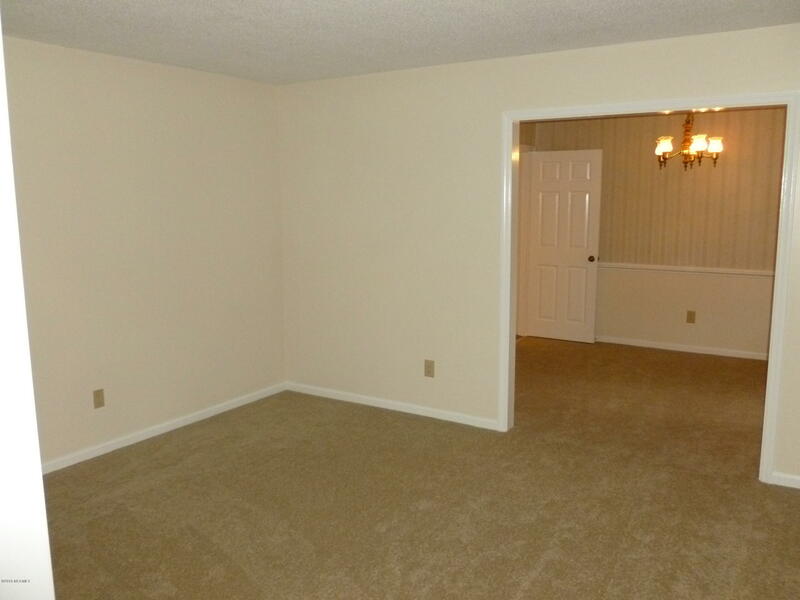 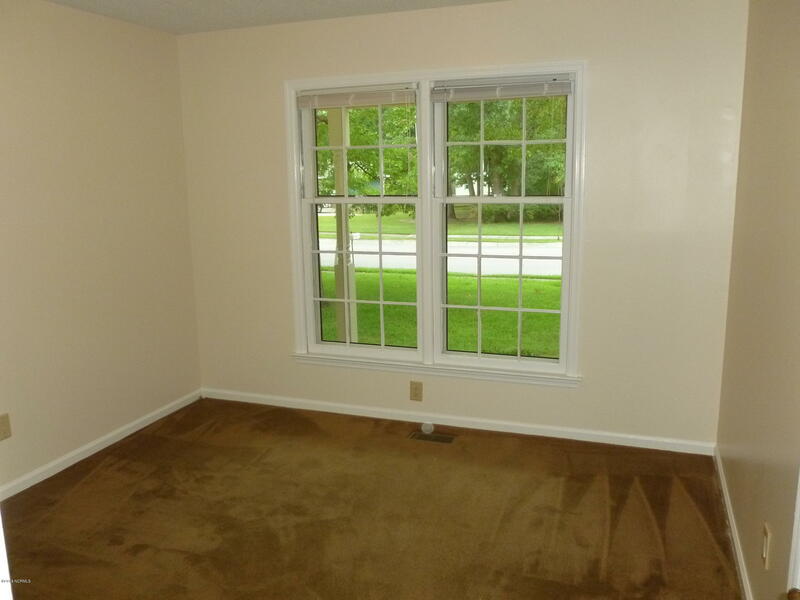 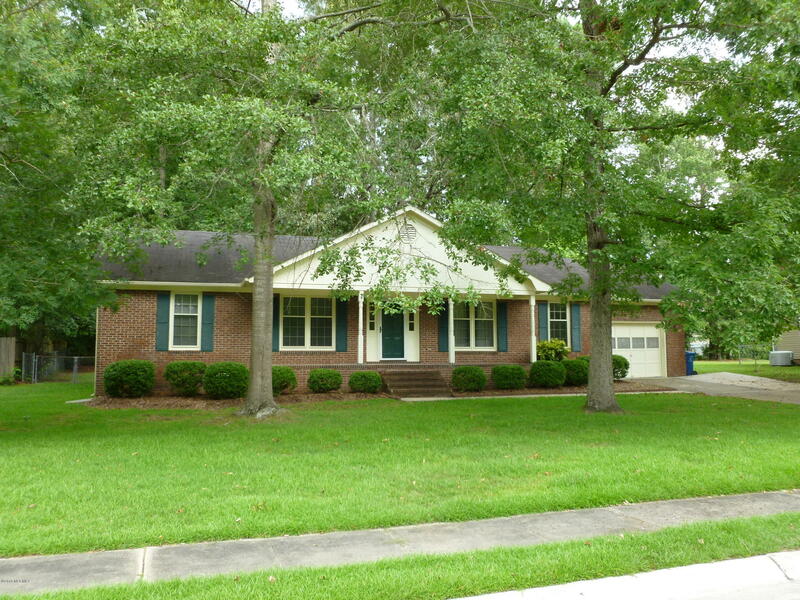 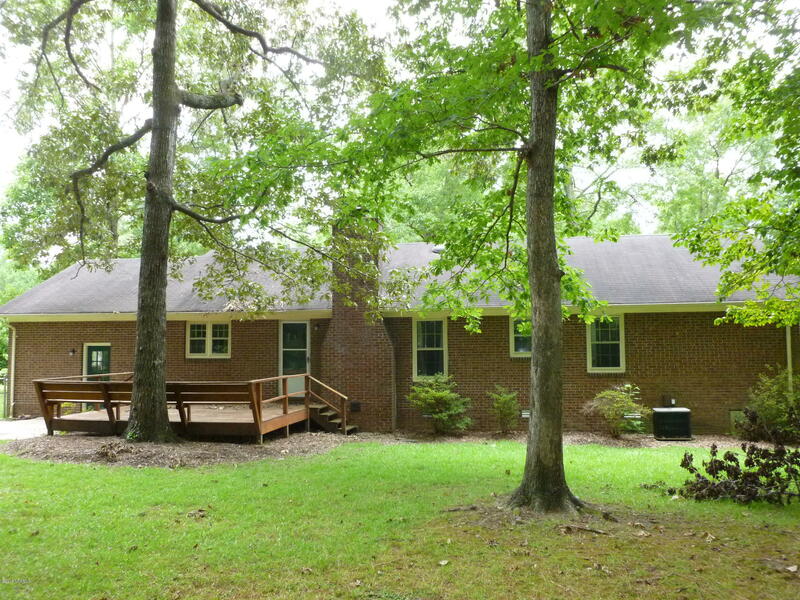 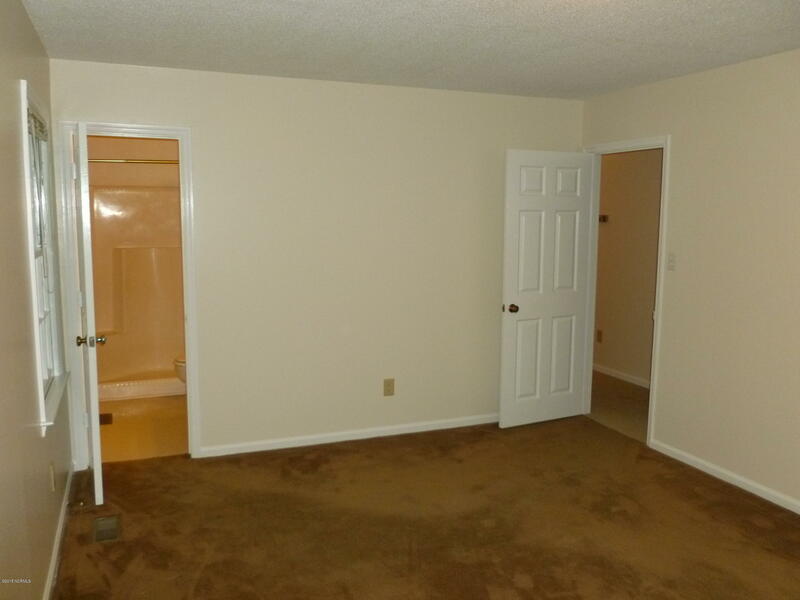 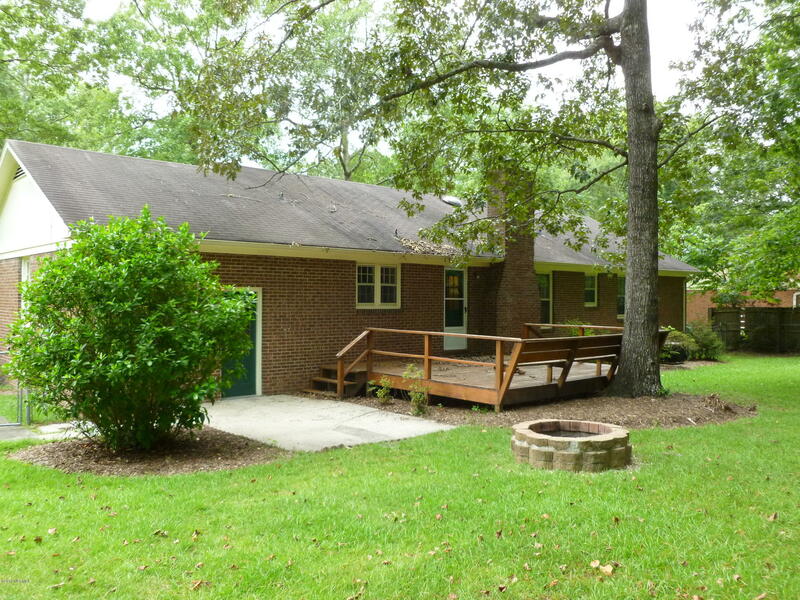 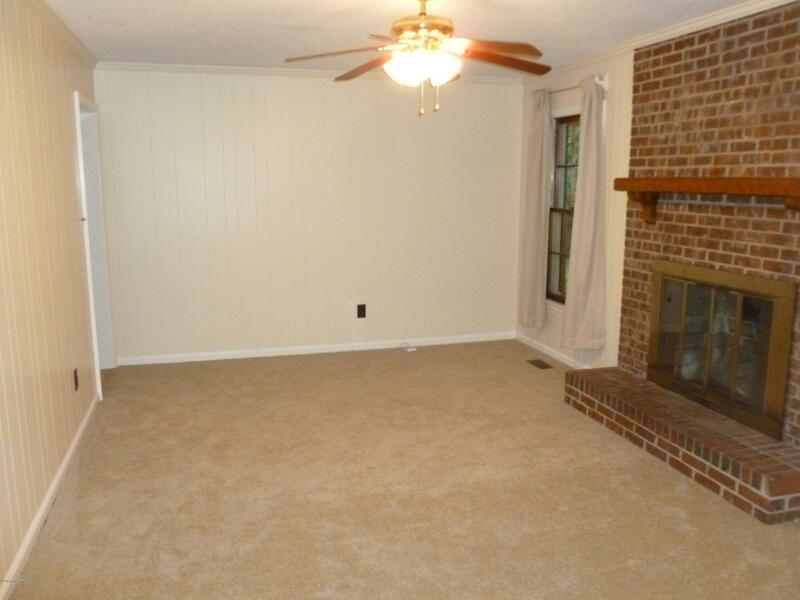 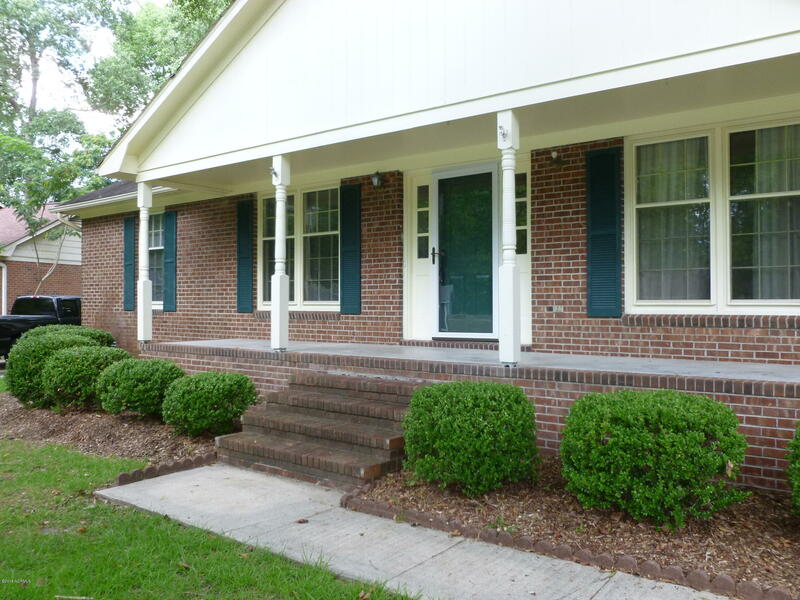 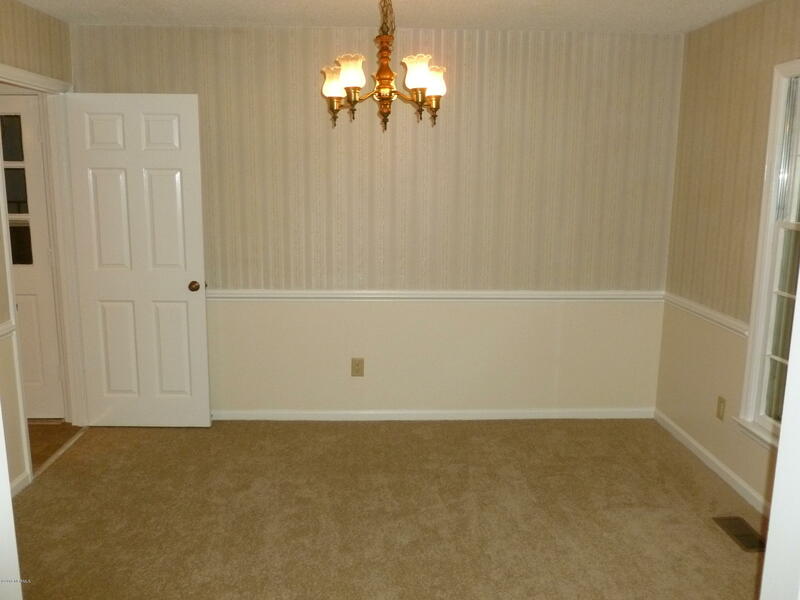 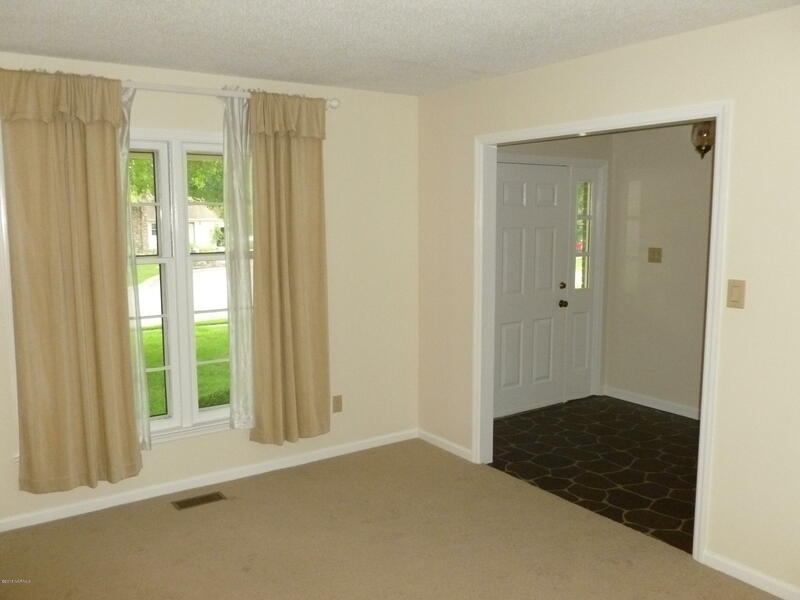 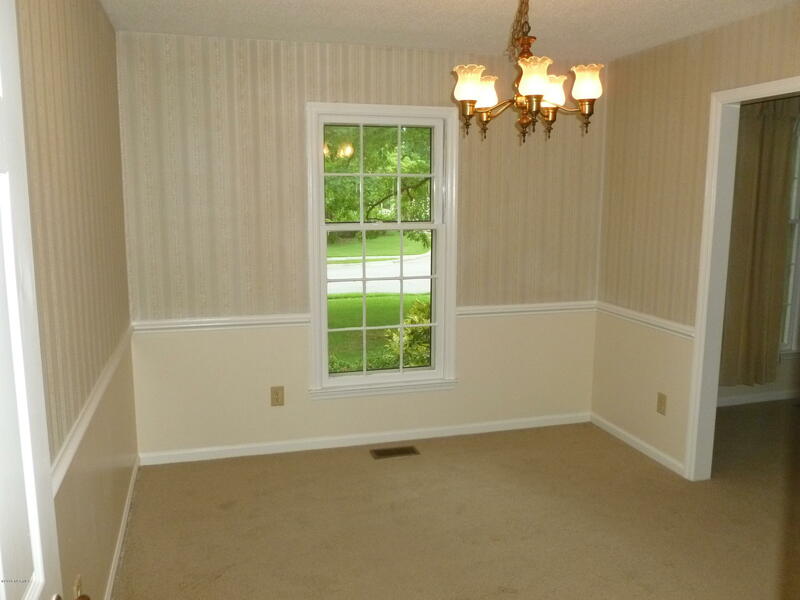 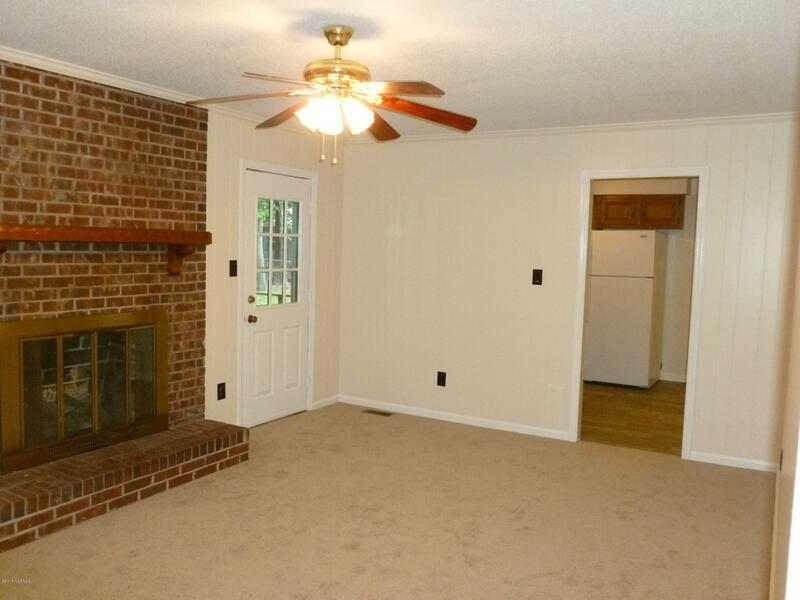 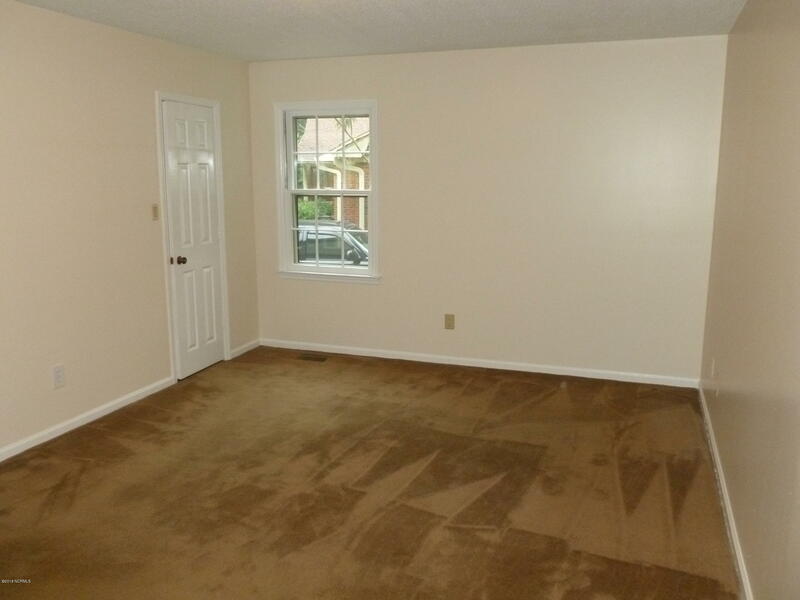 Straight ahead is access to the hallway and the family room with a brick surrounded fireplace. 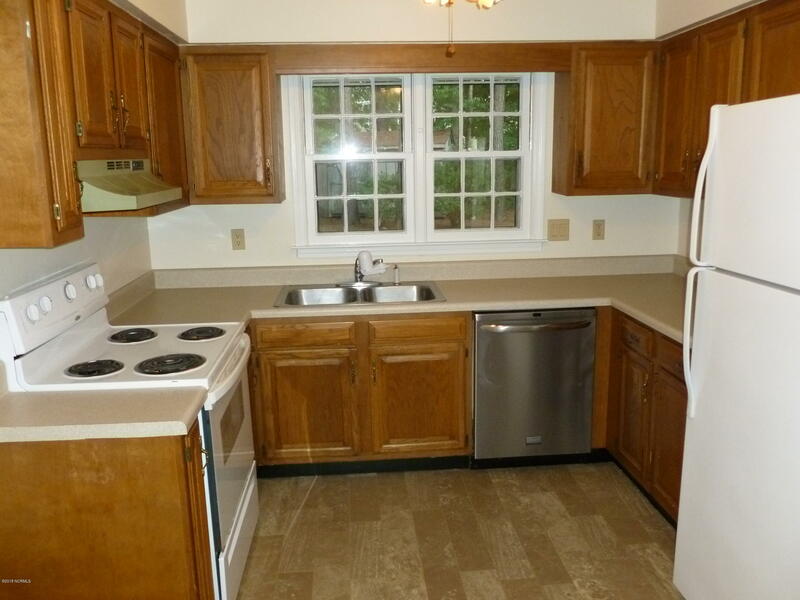 The U-shaped kitchen has an oven range, stainless steel dishwasher, a refrigerator, and an eat-in dining area. 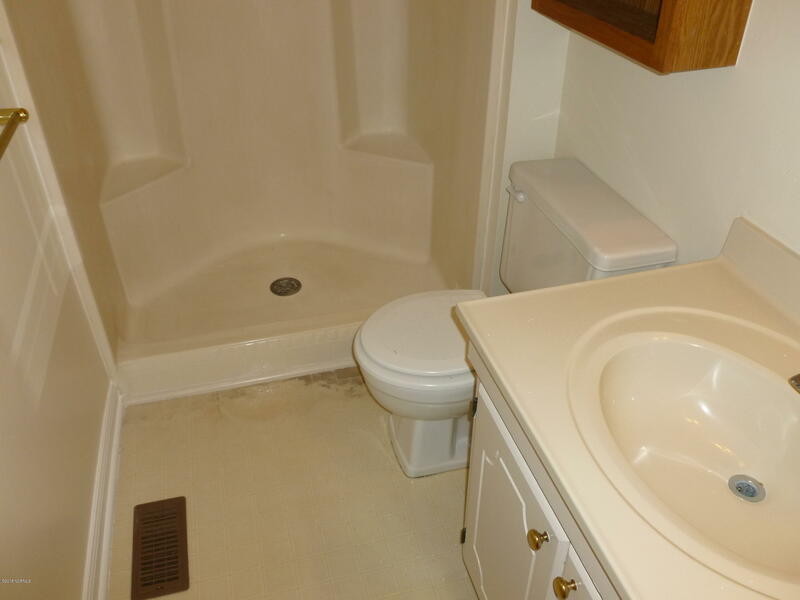 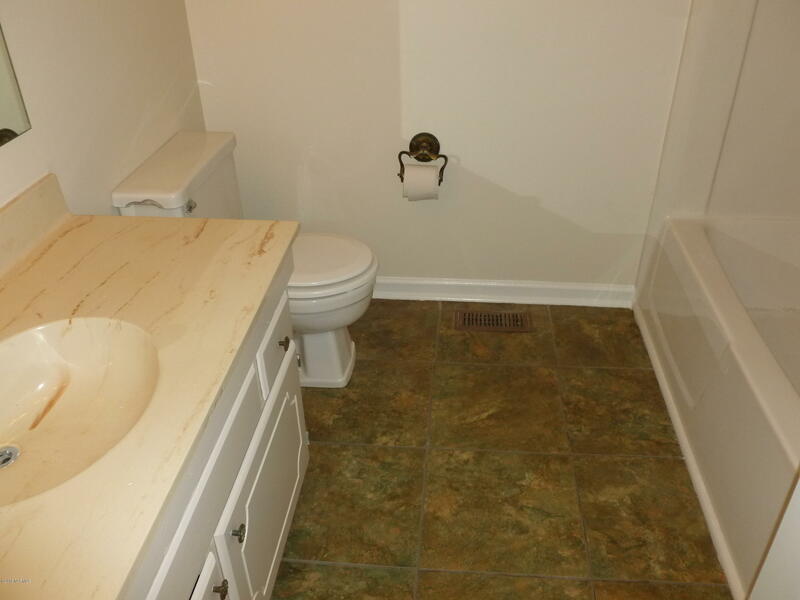 The master bedroom has an on-suite bathroom. 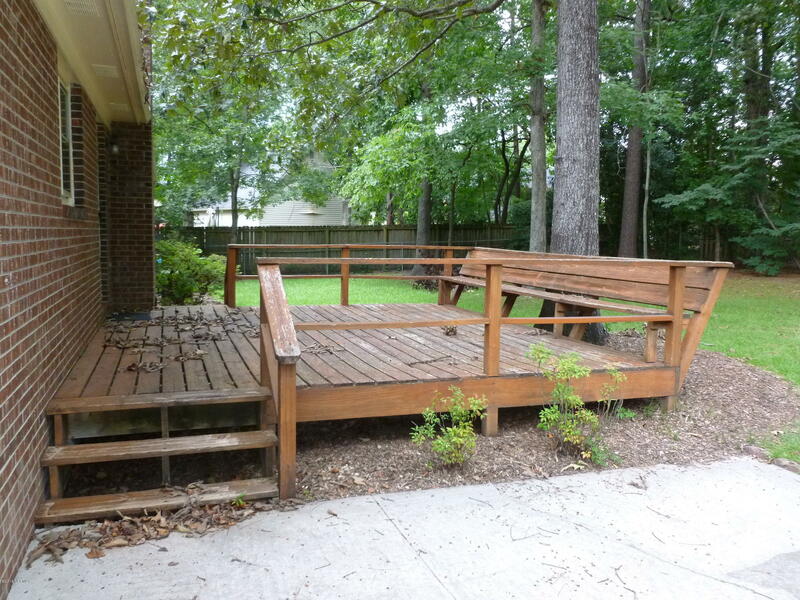 The door in the family room leads our onto the deck with a built in bench. 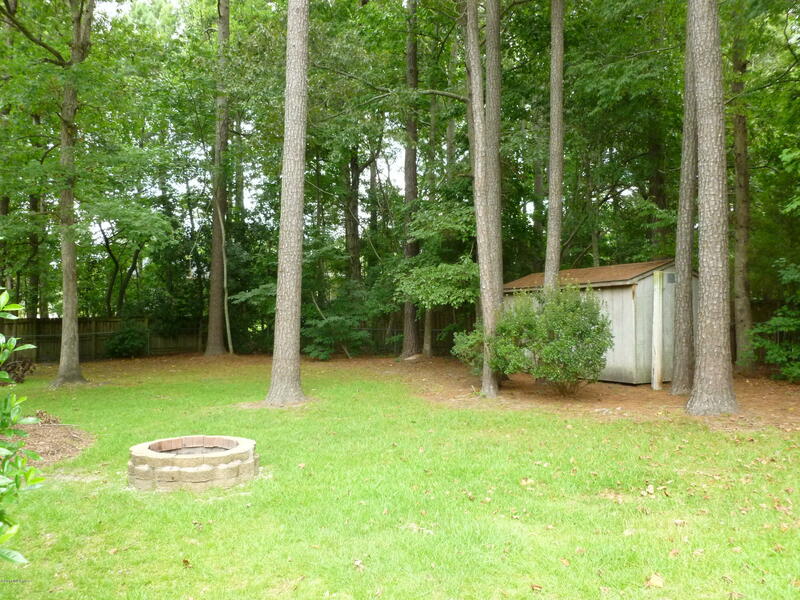 The spacious backyard is surrounded by chain-link fencing, has mature trees, and a shed for storage. 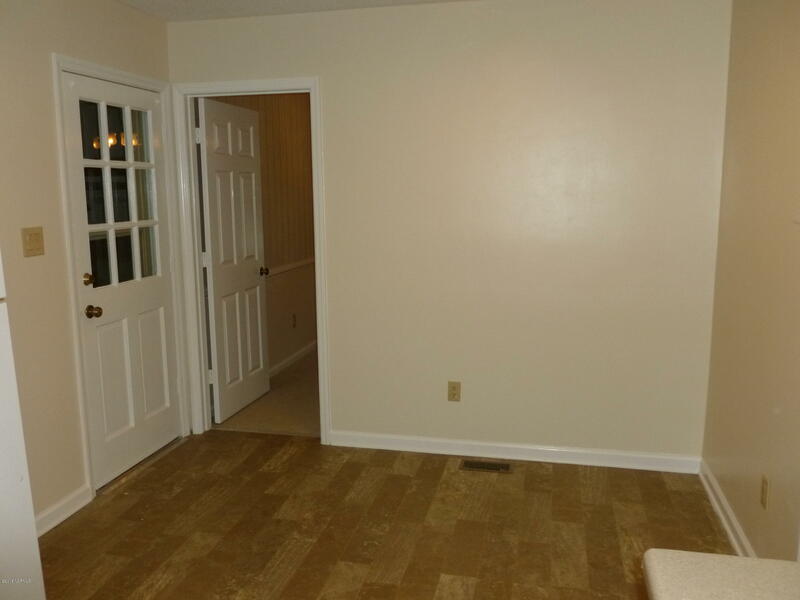 The laundry area is located in the garage, out the door in the eat-in dining area.